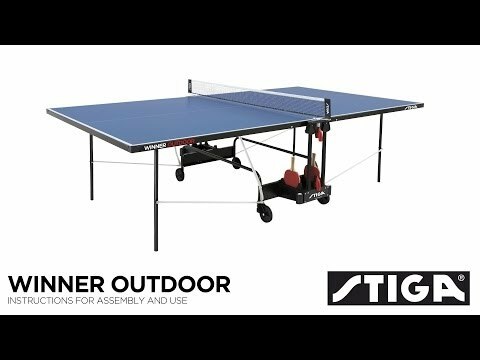 We consider the Stiga Winner Outdoor Table Tennis Table to be an entry level table in terms of its specification, but this is not reflected in the price, which is why we’ve given it a very low value rating. With only a 4mm playing surface the bounce is very basic, but the weatherproofing does redeem it a little. The playback facility (for solo practice) is a useful addition, and the bat and ball storage is also useful. Whilst this table does have some good qualities, it’s expensive when compared to tables of a similar price.